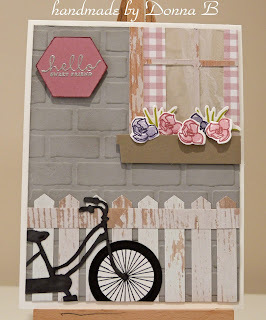 Today I created a little scene using lots and lots of different stamp sets punches and embossing folder. 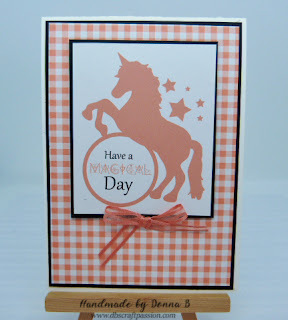 I started with a brick embossing folder and some smoky grey card then I created the fence with the label punch and used the new wood grain DSP. 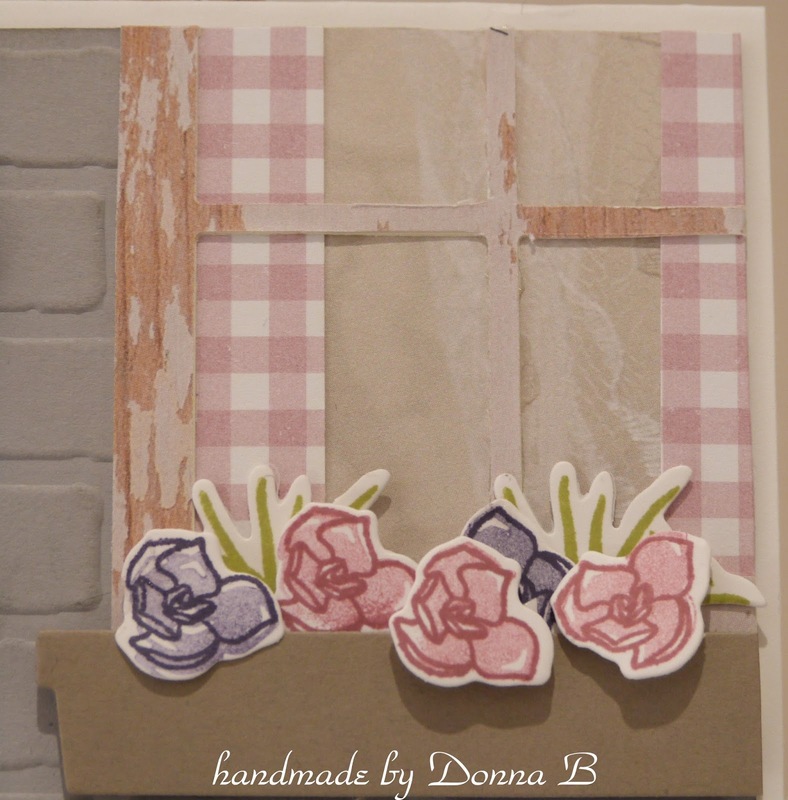 I also cut out the Hearth & Home framelits for the window and flower box in whisper white and the DSP for some added dimension. I used the succulent garden DSP and also the falling in love for the net curtain effect. 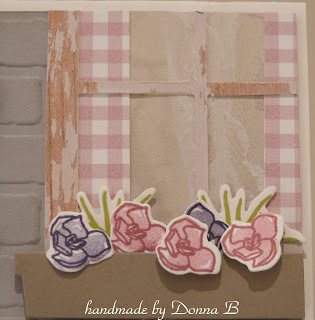 I used the Succulent garden flowers and dies for the window box. The flowers are stamped in Sweet Sugarplum and Elegant Eggplant. 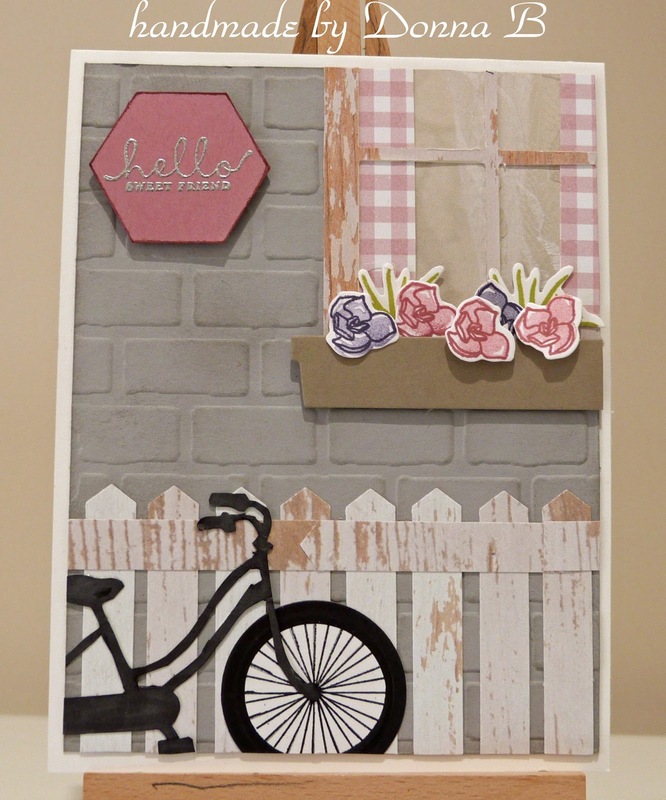 I also used the new Bike Ride stamp set and fussy cut the bicycle I stamped it in basic black and then coloured it in to create a silhouette. 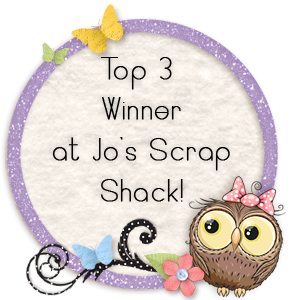 The sentiment is from and old stamp set, and I cut out a hexagon in Sweet Sugarplum to make it look like a name plate. I used silver embossing powder for the sentiment.